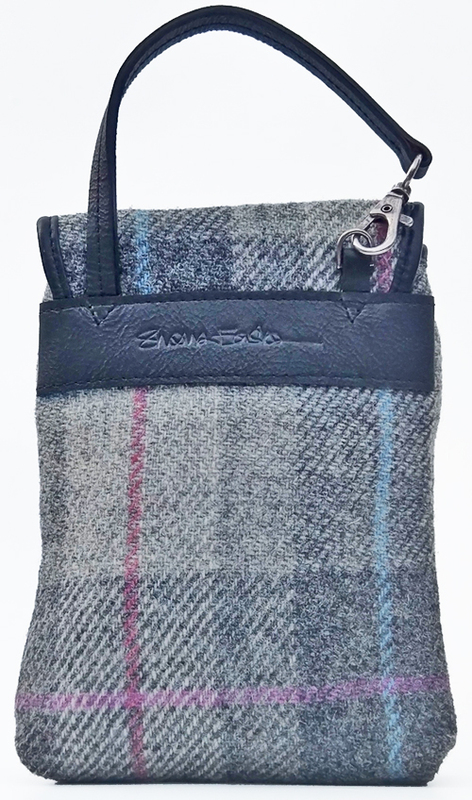 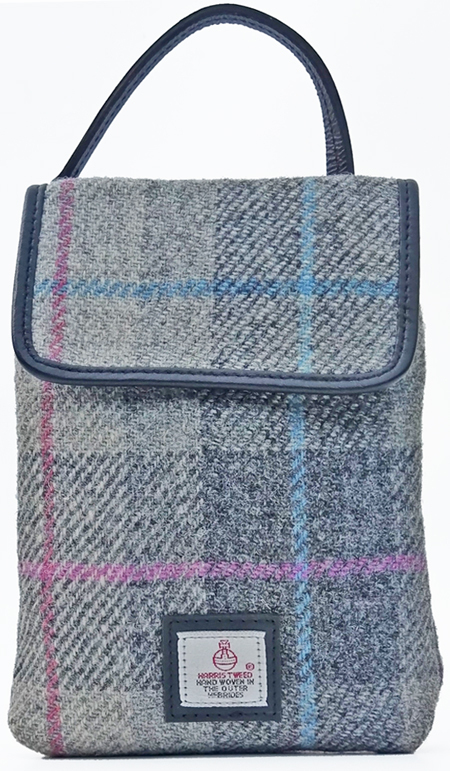 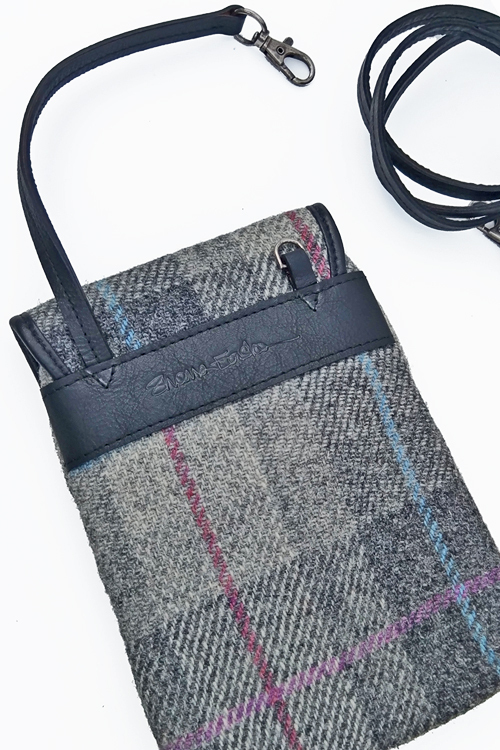 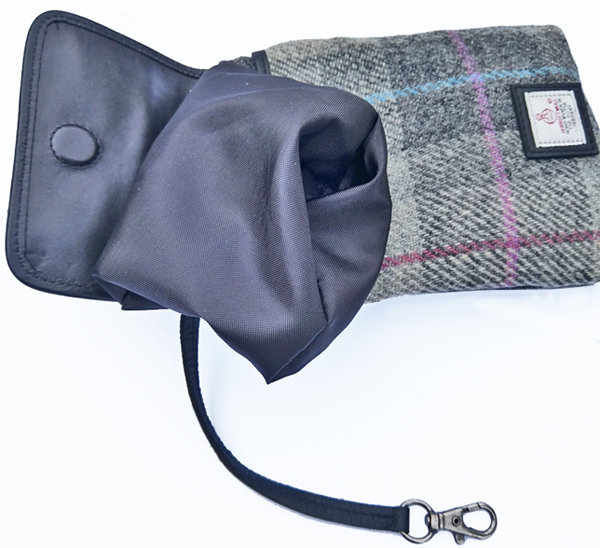 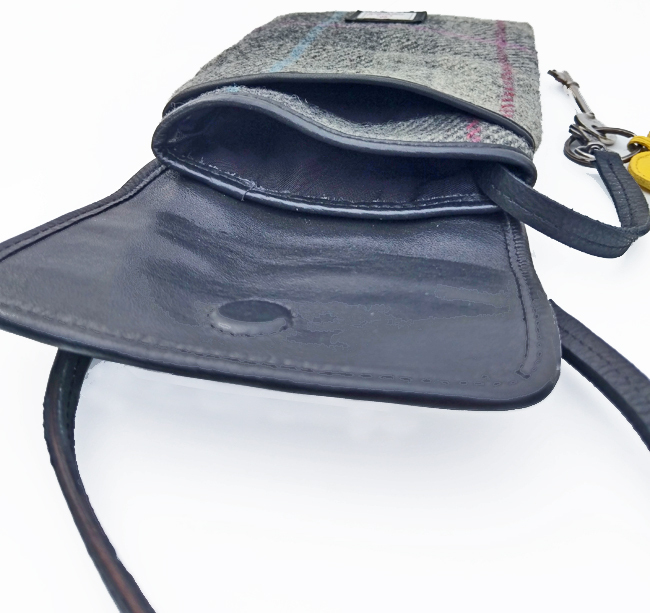 Grey mix check Harris tweed small bag trimmed with black calf leather. 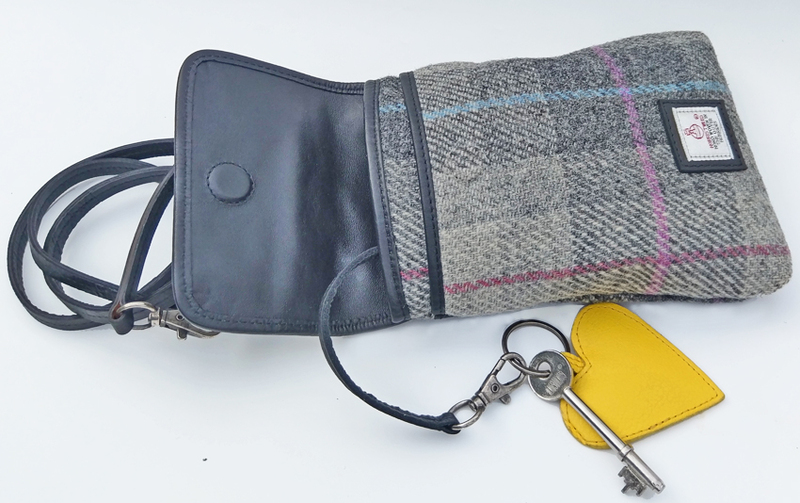 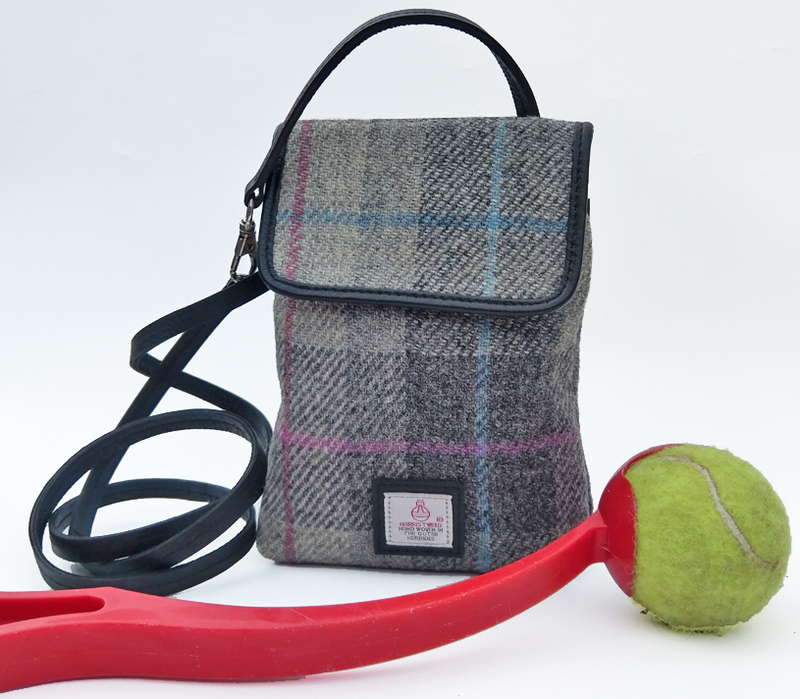 Designed to be a handy dog walkers bag, or just a practical, small shoulder bag. 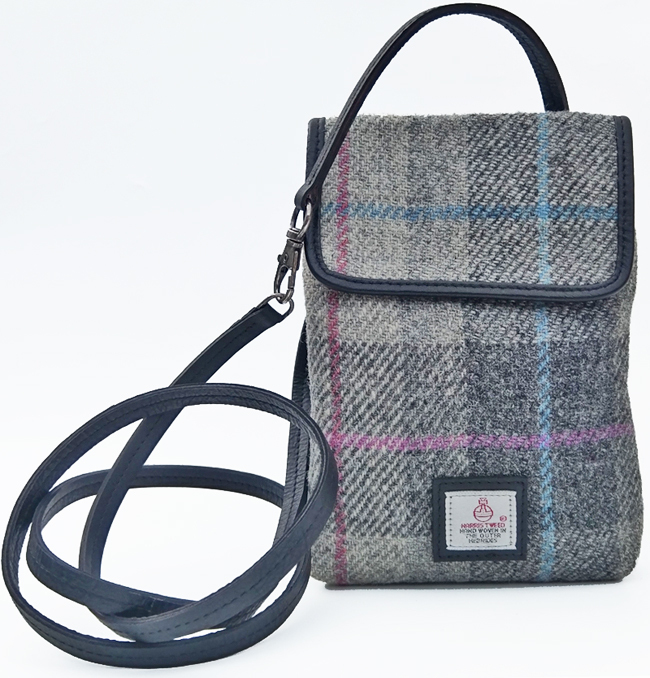 It can be worn hands free across the body or use the shorter strap to clip it to your belt/loops.